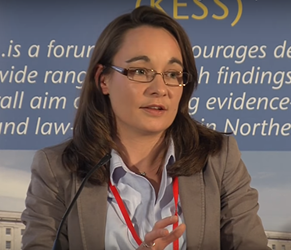 Dr Katy Hayward and Professor David Phinnemore gave evidence this week to the Oireachtas on the impact of Brexit on the Good Friday Agreement. Below is an overview of the evidence they presented. 1. 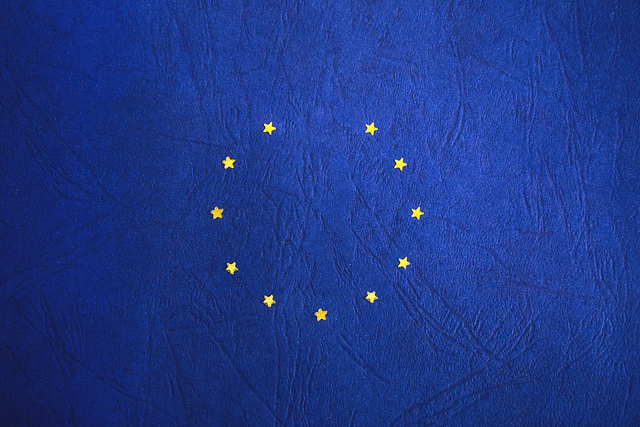 EU membership for the UK and Ireland has provided an essential context for the model and implementation of the Good Friday Agreement (‘the Agreement’). UK withdrawal from the EU constitutes a significant alteration to that shared context. As such it has the potential to disrupt the effective implementation of the Good Friday Agreement and, with it, the stability of the peace process. a. UK withdrawal from the EU at least compromises – and could disrupt significantly – that shared context and in so doing undermine both the Agreement per se and its effective implementation. b. With the UK government leaving the EU customs union and the single market, a hardening of the Irish border becomes inevitable. This will not only affect movement on the island, but symbolically and psychologically represent for many a major step backwards in the peace process and a profound impairment of the Agreement. c. UK withdrawal from the EU means that the trajectories of the UK and Ireland will now diverge. The divergence will be wide-ranging and will happen in law, trade, security, rights, policies and politics. Brexit therefore puts the Good Friday Agreement – which was premised on the assumption of common policies and interests across a wide range of policy areas – at risk of deep fissures. d. Such fissures, however, are not inevitable. Public statements by the UK government and from the EU-27 reveal a strong and repeated commitment to upholding the Good Friday Agreement in all its parts. Present in all statements from each negotiating side so far is a willingness to show flexibility and to seek out creative and imaginative solutions to the challenges that Brexit poses for Northern Ireland and the island of Ireland as a whole. e. It should be noted that all main political parties in Northern Ireland are also party to the Agreement/its successors and its institutions and that all have requested that the specific needs of Northern Ireland (particularly arising from the land border) be addressed in the withdrawal process. 2. To minimize the threat that Brexit poses to the future of the Good Friday Agreement, minimal disruption to the context for its effective implementation is imperative. iv. ensuring that there is no diminution or disparity of citizenship rights for citizens born and residing in Northern Ireland. b. The Agreement recognises the interrelated nature of ‘economic, social and cultural issues’ and the UK Government has explicitly acknowledged that the economic prosperity of Northern Ireland is a vital underpinning of the peace process. c. It is possible to keep to an absolute minimum the disruption that UK withdrawal will have on the valuable shared context of EU-based integration in which the Good Friday Agreement is implemented. 3. There are a range of options for maintaining elements of the status quo; all such options require high-level agreements that recognise the very particular status of the territory of Northern Ireland but that need not compromise in any way the principles of self-determination and consent that underwrite the Good Friday Agreement. a. It is possible to retain the free movement of goods, services, capital and people on the island of Ireland; based on (properly secured) regulatory equivalence, it is possible to enable the continued operation of all-island markets and of cross-border supply chains; it is possible for access to different forms of EU cooperation to be maintained for the both jurisdictions on the island of Ireland to uphold levels of cross-border movement in key areas. b. An opportunity also exists to ensure that the institutions of the Good Friday Agreement, especially the North-South Ministerial Council, are fit for purpose for the post-Brexit environment. c. Establishing the post-Brexit arrangements for the island of Ireland will be a process of negotiation. It is imperative that communication from the UK Government and EU in this process is as detailed and transparent as possible, given the risks that uncertainty over the position of Northern Ireland poses to the stability of the peace process. 4. Both sides need to be flexible and approach issues and solutions from the perspective of what can best ensure the Agreement’s unimpeded implementation, in highly practical as well as symbolic ways. a. For the EU, respecting the integrity of its legal order is of fundamental importance. This should not, however, provide an insuperable obstacle to the EU contributing to solutions addressing the challenges that UK withdrawal poses for the Good Friday Agreement and its implementation. Much of the history of the European integration is one of devising innovative solutions to problems. Precedents and frameworks exist to be exploited to the benefit of Northern Ireland, the peace process and the island of Ireland more generally. b. Given the commitment to addressing the ‘unique circumstances on the island of Ireland’, the language of ‘flexible and imaginative solutions’ and precedents for differentiation, there is no reason to doubt that the challenges can be addressed. This process is entirely dependent not on technical solutions but on political will. The best way to find this is to consider Northern Ireland not as place of division but as a place of deep connection and integration between the UK and Ireland. This is the fundamental principle upon which the Good Friday Agreement is founded and upon which it stands or falls. 5. The British-Irish relationship is key. a. The Agreement can only be understood as a collaborative achievement, centring on a strong relationship of trust and communication between the British and Irish governments. Maintaining close bilateral cooperation is essential to the effective operation of the Agreement and political stability in Northern Ireland. b. The success of the Agreement has centred on viewing the Irish border, and Northern Ireland more broadly, as a point of contact between the UK and Ireland, not a dividing line between them. 6. The border conflict is not resolved but managed through multilevel governance. a. Ireland’s acceptance of the continuation of Northern Ireland’s place in the United Kingdom stands alongside British acceptance of the legitimacy of Irish nationalists’ wish for future change in Northern Ireland’s constitutional status. b. The Agreement is premised on the principles of consent and self-determination for the people on of the island of Ireland alone, North and South, ‘without external impediment’. c. The Agreement created conditions that enable multilevel governance, sectoral-specific and territorially-differentiated arrangements within the UK as well as across the island of Ireland. 7. The impact of Brexit on the Agreement will be decided even at this early stage. a. The nature and effect of Brexit on the Agreement will largely depend on: (i) how the processes of withdrawal and transition are managed; (ii) what arrangements are put in place to govern the future of relations between the EU and the UK; and (iii) the way in which parties to the Agreement are involved in and respond to the changes brought about through Brexit. b. UK withdrawal from the EU means that the trajectories of the UK and Ireland will now diverge. The divergence will be wide-ranging and will be manifest not just in trade and economic policy but also in law, political institutions, security, rights and their safeguards – all areas that reach to the core of the Agreement. 8. A specific solution for Northern Ireland requires differentiated arrangements. a. The precedent of differentiated integration within the EU – coupled with the precedent of territorial differentiation within the UK evidenced in the Good Friday Agreement and devolution – provides a valuable departure point for enabling the type of arrangements that would best reflect and protect the unique needs of Northern Ireland in the Brexit process. b. Respecting the integrity of its legal order is of fundamental importance to the EU but much of the history of European integration entails devising innovative solutions to cross-border problems. Precedents and frameworks can be exploited to the benefit of Northern Ireland, the peace process and the island of Ireland more generally. a. Establishing the post-Brexit arrangements for the island of Ireland will be a process of negotiation that must include all sections of the community; prolonged uncertainty and polarisation of political positions is only harmful to the peace process. b. An opportunity exists to breathe new life into the institutions of the Good Friday Agreement, including the North-South Ministerial Council and British-Irish Council, as well as to utilise the potential of some of its as-yet-unrealised precepts. c. The quest for specific solutions will require upholding the language and principles of the Agreement itself; that is to say, avoiding a zero-sum definition of unionist and nationalist interests but instead focusing on the areas of common interest, including where they cross the land border and the sea border. d. Given the commitment to address the ‘unique circumstances on the island of Ireland’, the language of ‘flexible and imaginative solutions’ and precedents for differentiation, there is no reason to doubt that the challenges can be addressed. 10. The 20th anniversary of the signing of the 1998 Belfast ‘Good Friday’ Agreement comes at a time when the prospect of the UK’s withdrawal from the EU has raised serious concerns about what ‘Brexit’ will mean for the Agreement and its future implementation. 11. The need to ensure that the Agreement is protected has been a prominent message in official statements of the UK and Irish governments, as well as of the EU, ever since Theresa May, the UK Prime Minister, triggered Article 50 TEU in March 2017 and formally launched the withdrawal process. Most recently in her Mansion House speech, May maintained to her audience that she had ‘consistently put upholding the Belfast Agreement at the heart of the UK’s approach’ to Brexit. 12. How the UK government intends to protect the 1998 Agreement has not yet been made clear beyond the publication of its broad position paper in August 2017 and the issuing of commitments, notably, for example, four months later in paragraph 49 of the UK-EU Joint Report in which there were also related commitments to preserving north-south cooperation, avoiding a hard border and supporting the all-island economy. 13. The EU meanwhile has set out in its draft ‘Protocol on Ireland/Northern Ireland’ what it considers the minimum required for the UK to deliver on its commitments. Much attention has focused on the measures designed to avoid a hard border: Northern Ireland remaining part of the EU’s customs territory and the establishment of a common regulatory area covering the free movement of goods between the EU and Northern Ireland. 14. Less attention has been paid to the protocol’s provisions committing the UK to ensuring ‘no diminution of rights, safeguards and equality of opportunity’ as set out in the 1998 Agreement and facilitating the related work of institutions and bodies in upholding human rights and equality standards. According to the colour coding in the latest version of the draft Withdrawal Agreement, these are commitments where the UK agrees to the policy objective, but has not yet agreed to the exact language proposed. The same applies to state aid and regulatory alignment between Northern Ireland and the EU to support the single electricity market. 15. Encouragingly, the UK government has no apparent reservations about the range of areas in which regulatory alignment between Northern Ireland and the EU will be required to maintain North-South cooperation. In contrast to the very narrow scope envisaged by UK government sources when the Joint Report was published, there appears to be agreement that at least some of the existing alignment will need to be retained in the following areas: environment, health, agriculture, transport, education and tourism, as well as energy, telecommunications, broadcasting, inland fisheries, justice and security, higher education and sport. 16. The UK government position reflected in the colour-coded version of the draft Withdrawal Agreement suggests therefore a far more sober appreciation of what is required to deliver on the commitments contained in the Joint Report than was evident in the hostile reaction to the protocol when it was first published in late February 2018. 17. The protocol deserves calm and considered reflection, not least because, beyond being the EU’s proposed ‘backstop’ in case matters are not addressed satisfactorily in the future UK-EU agreement, it provides a clear indication of the areas in which regulatory alignment will need to be maintained to protect the 1998 Agreement ‘in all its parts’ as per the Council mandate for the withdrawal negotiations. 18. Moreover, and contrary to comments by UK government ministers, it needs to be recognized that although the protocol, if implemented, would provide for a unique post-Brexit arrangement for Northern Ireland, it would not ‘in effect leave Northern Ireland in the [EU]’. Nor should it be seen as a hostile act; and certainly not as an attempt to ‘annex’ Northern Ireland. 19. Although the extent of the sustained regulatory alignment envisaged has not yet been revealed in any detail, it is likely to be extensive, at least as far as the free movement of goods is concerned. Significantly, however, the protocol does not provide for the free movement of services, capital or people, although the movement of UK and Irish citizens and certain associated rights will be covered by current and future arrangements as part of the Common Travel Area (CTA). 20. What is envisaged with regard to Northern Ireland is ‘a selective, and lean version of the internal market’. As such, the protocol falls well short of what a range of political and business voices have been advocating in terms of Northern Ireland remaining in the internal market. Most certainly, the protocol will disappoint advocates of Northern Ireland being granted some form of special status ideally within the EU. 21. Moreover, without sight of either the results of the much referenced yet still unpublished mapping exercise on north-south cooperation or the annexes on regulatory alignment, particularly as required for north-south cooperation, it is too early to determine whether what is envisaged in the protocol would in fact allow the UK government and the EU to deliver on their commitments to protect the 1998 Agreement and its implementation. 22. A year ago, the Northern Irish dimension to Brexit attracted very little attention in UK political debate. In her Lancaster House speech in January 2017, May spoke of maintaining the CTA and briefly of avoiding the ‘borders of the past’. She made no mention, however, of the 1998 Agreement or of North-South cooperation. A year later, as events mark the 20th anniversary of its signing, the question of how to protect the 1998 Agreement and ensure the UK’s related commitments, notably concerning its guarantee to avoid a hard border, are rightly a focal point of the withdrawal negotiations. If those negotiations fail to deliver a backstop arrangement that supports the continued and effective implementation of the 1998 Agreement and avoids the potentially disruptive effects of Brexit, this will only exacerbate wider uncertainties about the Agreement’s future. 23. Much of the progress in the early 1980s into the 1990s for the peace process centred on the UK accepting that Northern Ireland was not merely a ‘domestic concern’ for the UK. What is happening in the process of the UK’s withdrawal from the EU appears to be a retreat from the UK’s acceptance of the Irish dimension. If this pattern persists – and Ireland and the EU are forced to draw a hard line regarding Northern Ireland which is at odds with the will of the UK – this would be an extraordinarily retrograde step. 24. The letter from Arlene Foster and Martin McGuinness as First Minister and deputy First Minister to Theresa May in August 2016 set out the ideal outcome for Northern Ireland: no friction on cross-border trade and services, continued integration of EU skilled and unskilled workers, all-island energy and agricultural regimes (sanitary-phytosanitary) protected. Both the DUP and Sinn Fein were agreed then that they want to see minimal change to experience in Northern Ireland through Brexit. This has become impossible to conceive as the UK has hardened its position (e.g. moving outside the Single Market and the Customs Union). 25. Polarisation between the UK and Ireland reflected in polarisation between Unionist and Nationalist positions would be the most damaging outcome for Northern Ireland. This would mean that it is being forced to choose between being closer to Britain or to Ireland (EU) and thus the border conflict becomes a live issue once more. The worst thing about this is that it erodes the vital centre ground in Northern Ireland. That centre ground is where accommodation and stability flourish. 26. Furthermore, direct rule with no bespoke arrangement for Northern Ireland would be a backwards step that would undermine the position of pro-Agreement republicans. The imposition of the backstop option, on the other hand, could be used to increase the anger of loyalist community and the mistrust of the Irish government and nationalist parties. 27. It is worrying that so little attention is paid to the middle ground in Northern Ireland. 47% of people say they have neither unionist nor a nationalist views (NILT survey 2016). Most people of all ages say their identity is a mix of British and Irish to varying degrees. It is in this complexity, this internal diversity that hope for a positive future lies for Northern Ireland. But as long as this is not heard, and the space not created for this to flourish and have an impact, the future for Northern Ireland is one of deepening polarisation. 28. Northern Ireland’s peace was already fragile and trust between the parties was already weak before the Brexit referendum. That has been managed in recent times by a strong and close relationship between the British and Irish governments. Unfortunately this has been threatened by what has come alongside the process of Brexit, i.e. a combination of factors that are deeply toxic for Northern Ireland’s peace: re-politicisation of the border question (from both sides), a tussle between Great Britain and Ireland to speak on behalf of people in Northern Ireland, a diminution of the powers of the devolved administration, an uncertain economic future, and a return to rhetoric of crude nationalism on both sides. 29. In addition, there are newly destabilising forces. The absence of devolved government. The growth of far-right elements in loyalism. The overly-close relationship between the DUP and the Conservative government. The exposure of weak management, poor judgement and possible corruption in the spending of public money (as in the Renewable Heating Initiative or the Social Investment Fund). 30. It is important to bear in mind that the withdrawal negotiations are but the first stages of a long Brexit process. The negotiation of the future relationship between the UK and EU, the potential adjustments to the Protocol, and the ratification of the future UK-EU treaty will all be points of pressure upon the 1998 Agreement and the British-Irish relationship in particular.